This post about the greatest hockey players ever was first published in July 2015 by former THW writer Felix Sicard. I can’t imagine the list changing anytime soon. Sidney Crosby may have a chance of cracking it one day and some are already talking about Connor McDavid becoming one of the all-time greatest, but for now, these guys are the hockey Gods. Ah, the dead of summer. With the draft in the rear-view mirror and most major free agents locked up around the league (waiting on you, Cody Franson), the well of topics around the National Hockey League is starting to resemble water levels in the state of California. Is it though? There’s always something to discuss in the hockey world, so why not spark a little debate with the five greatest hockey players of all time? Enjoy! This name might come as a surprise to some being so high on the all-time list. 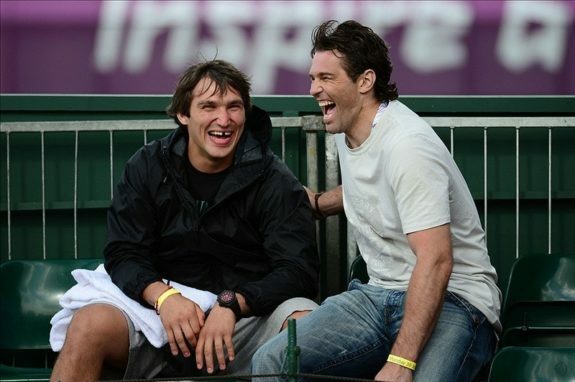 A quick look at Jagr’s track record should quell any rancor though. Five scoring titles, three Lester Pearson’s (now Ted Lindsay), and one Hart, Jagr has all the individual accolades of a first-ballot Hall of Famer. If it hadn’t been for Mario Lemieux, Jagr would have easily gone down as the greatest “big man” in hockey history; an indomitable force that could combine brute strength, size, and splendid skill to give the opposition fits. He could easily be sniffing 800-plus career goals if he hadn’t taken a three-year sabbatical in Siberia. To boot, Jagr is still a productive and sought-after NHL player at age 43 thanks to his dedication to training and fitness. Before Wayne Gretzky rolled around, Howe was and remains the only other play in NHL history to record 800-plus goals. “Mr. 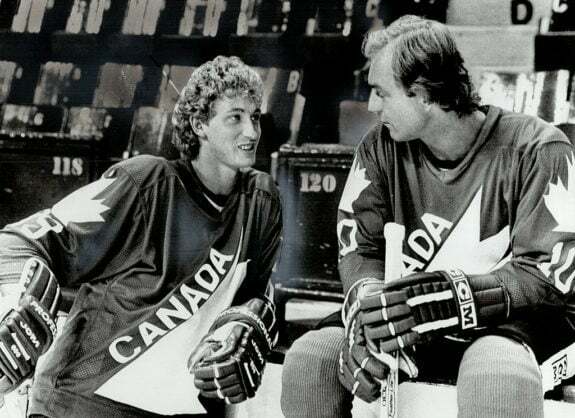 Hockey” wrote the NHL record books before Gretzky took it over, putting up some incredible numbers before the offensive explosion of the 1980’s and in a time where defenders were essentially allowed to maul attackers. While only recording two hat tricks of this kind during his career, the trifecta was named after Gordie Howe for his all-around abilities. With six MVP trophies in the span of a decade, Howe defined dominance in his era. His career spanned from the end of World War Two to the heart of the Cold War, playing 32 seasons of professional hockey between the NHL and the World Hockey Association. That’s just insane. 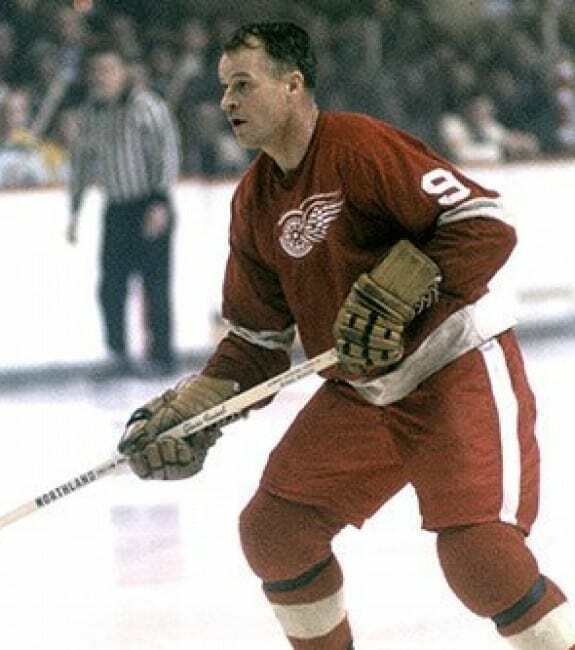 Known for his toughness, Howe’s name lives on in hockey jargon through the “Gordie Howe Hat Trick“, where a player records a goal, an assist, and a fight. Before we even discuss Lemieux’s NHL career, let’s just put this out there: he had 282 (!!!) points in only 70 games in his last season of junior for the Laval Voisins. Lemieux was the first of his kind once he arrived in the NHL; a giant with a six foot four, 200-pound frame that could stickhandle in a phone booth and skate like the wind. He recorded some truly startling stat lines throughout his career, coming oh-so close to cracking 200 points in the 1988-89 season with 85 goals and 114 assists. Sadly, his career was hampered by recurring bouts of bad health which forced him to retire for three seasons in his prime. Besides health, Lemieux was sick of the clutching and grabbing that had taken over the game, marking the first step towards the NHL eventually revising its rules in the 2005 lockout. Lemieux will always be remembered as one of the most dominant to ever grace NHL ice, and also one of the most charitable off of it thanks to the Mario Lemieux Foundation, which strives to fund cancer research in the hope of finding an ultimate cure. Orr is the ultimate “what could have been” story in NHL history. Limited to only ten full seasons in the league, Orr dominated his era by perfecting the art of the offensive defenseman. Although players such as Doug Harvey had blazed the path for defensemen to rush up in the play, Orr took that philosophy to an entirely new level. Orr changed the game so much so that there is talk about creating a Bobby Orr trophy going to the best offensive defenseman. 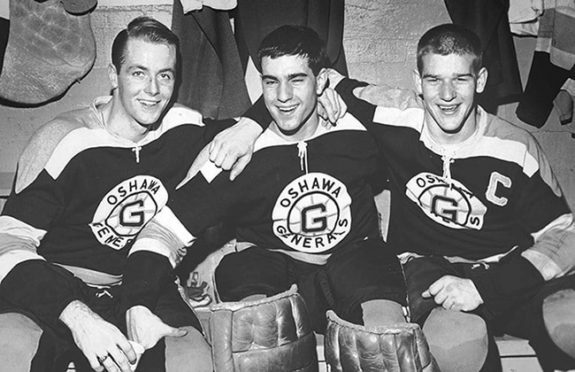 Danny O’Shea, Ian Young and Bobby Orr (right) pushed the Baby Habs to the sidelines. Thanks to a swift and powerful stride, Orr was able to skate circle around entire teams, often going coast-to-coast to make plays. Much like Gretzky, Orr was able to think the game on entirely different plane than the rest of the competition. He is the gold standard of defensemen, holding the record for most points and assists in one season by a defenseman with 139 and 102, respectively. Orr’s influence went beyond the ice though, as he was a prominent name that led the charge against crooked player agent Alan Eagleson. Where to even start with Gretzky? The NHL record book might as well be renamed “The Memoirs of Wayne Gretzky”, as he basically wrote it himself throughout his career. The only player in NHL history to record 200 points in a single season, Gretzky achieved the feat a whopping four times during his career. He holds the record for most goals in a single season with a mind-boggling 92 red lights, and also the record for the fastest to 50 goals in a season in a ridiculous 39 games. On top of that, he ignited interest for the sport in California thanks to this stint with the Los Angeles Kings, eventually turning the Golden State into one of the fastest growing hockey hotbeds in the United States. The arguments against Gretzky’s place in hockey lore are everywhere: he played in the right era, on the right team, in the right system, bad goalies, etc. Yet no player has ever dominated his own era like Gretzky did, and it’s hard to imagine that anyone ever will. Not the most physically gifted, “The Great One” was able to dominate thanks to his Jedi master-like perception and anticipation of the game. Others have come close, but no one did it to the degree and with the same longevity as Gretzky did, making him the greatest hockey ever.